Smile Team Dental is dedicated to giving patients bright and beautiful smiles! 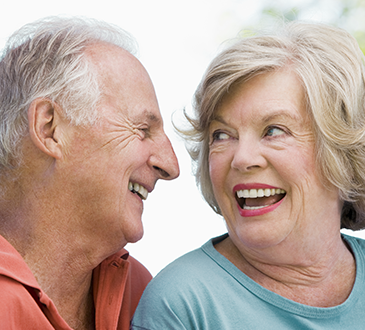 We offer dental cosmetic treatments including teeth veneers in Belleville, IL. We recommend porcelain dental veneers to correct teeth that are crooked, discolored, chipped or misshapen. As an alternative to orthodontics, this type of treatment is conservative and instantly transforms your smile by restoring one or all of your teeth. Dental Veneers are a non-invasive teeth-straightening solution that's made up of durable and thin restorative material. The custom-fabricated material is placed over the affected teeth as protection or to improve its appearance. We make sure that the tooth veneers are colored to match the enamel of your natural teeth for a uniform appearance. The thin porcelain shells are one type of treatment that can correct several dental problems. The procedure starts with a small amount of enamel removed from your tooth's surface. We'll take impressions, which are sent to our dental laboratory for custom fabrication. One to two weeks later, we'll bond the dental veneers to your teeth after fitting them for a proper fit, feel and look. Veneers are hardened by special lighting and polished to complete the procedure. Make an appointment with either Dr. Kirk Quigless or Dr. Jon Sones in Belleville for dental veneers. We create natural-looking smiles for patients in the surrounding areas of Swansea, Fairview Heights, Edwardsville, Collinsville, Saint Claire, Madison County, Cahokia, Granite City, Shiloh, Dupo, Scott Air Force Base, O'Fallon and Alton, Illinois.